by Kristi Patrice Carter J.D. Your financial story doesn’t have to be about living paycheck to paycheck or not being able to build a substantial savings account. You can rewrite that story with a little extra effort, a change in mind-set, and access to over twenty active income streams. 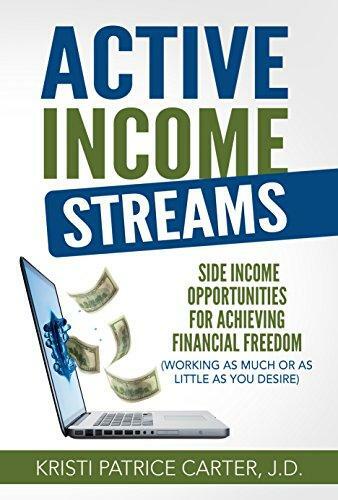 In author Kristi Patrice Carter’s newest book, Active Income Streams: Side-Income Opportunities for Achieving Financial Freedom (Working as Much or as Little as You Desire), you’ll learn how to move into the “success mind-set" so you can take control of your life and your finances without working nine hours a day, seven days a week. 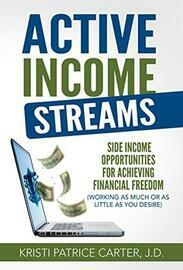 help you live a life free of financial burden and stress.